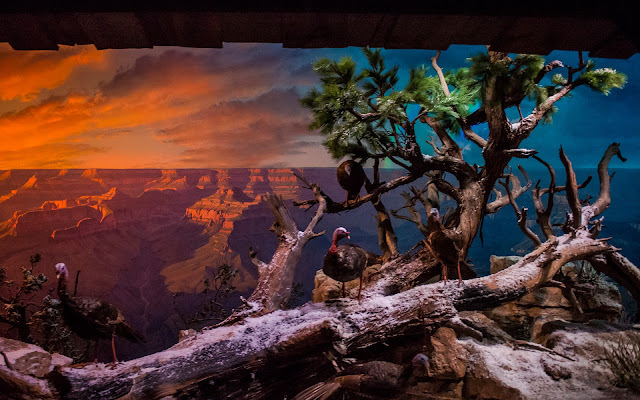 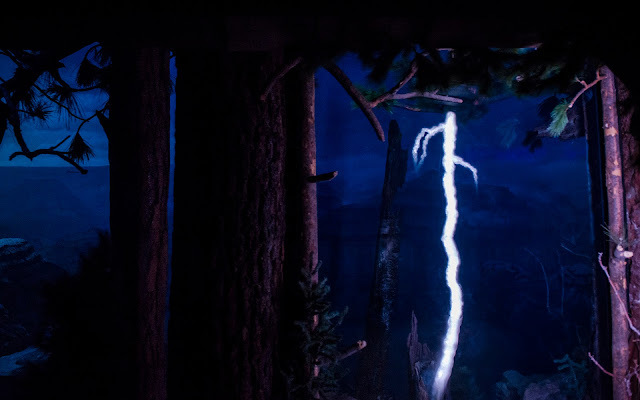 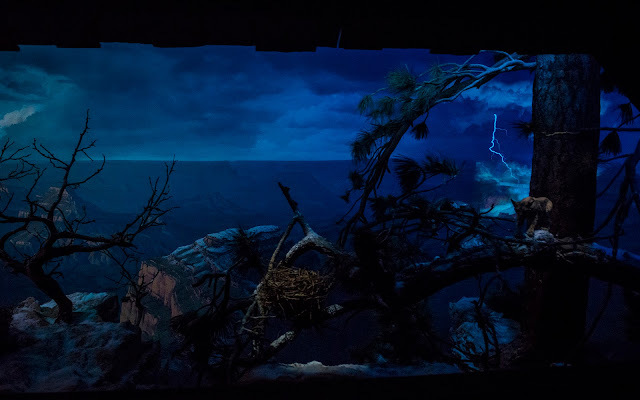 Yesterday, we took a tour through Primeval World as part of our look at the reopened Disneyland Railroad. 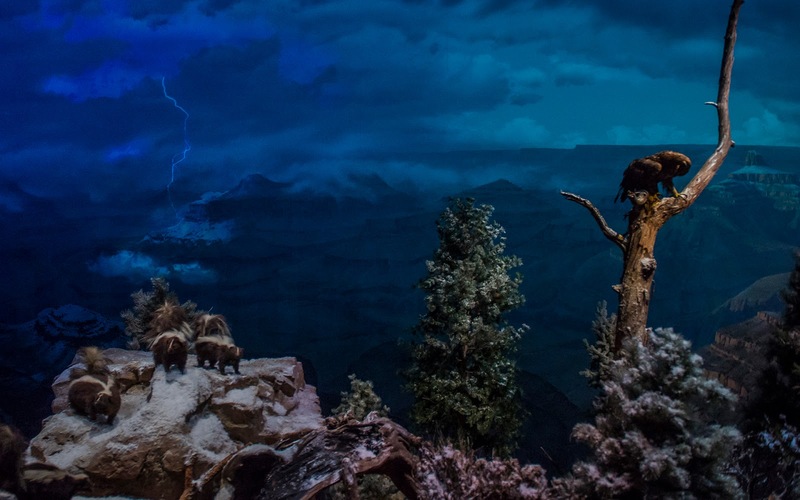 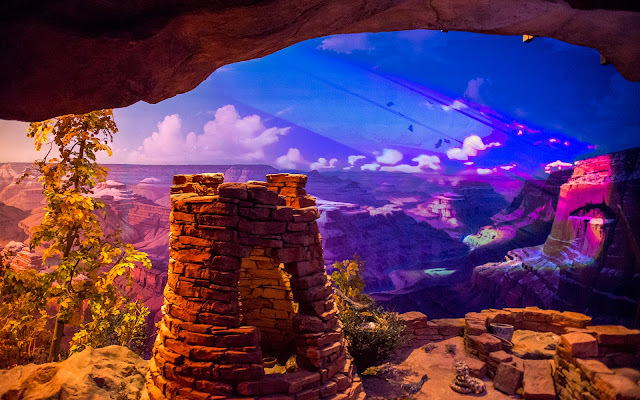 Today, we jump one segment earlier, to the Grand Canyon Diorama. Like Primeval World, this part of the Disneyland Railroad was not original to the attraction, but it has been around for a long time--even longer than Primeval World by eight years, in fact. 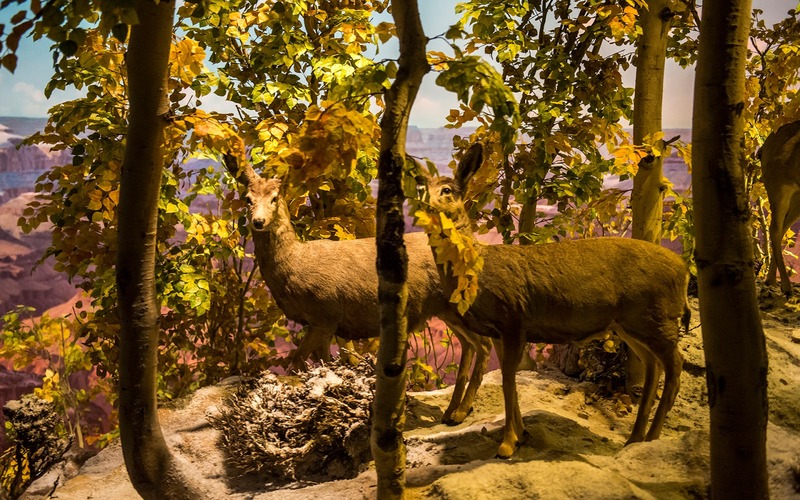 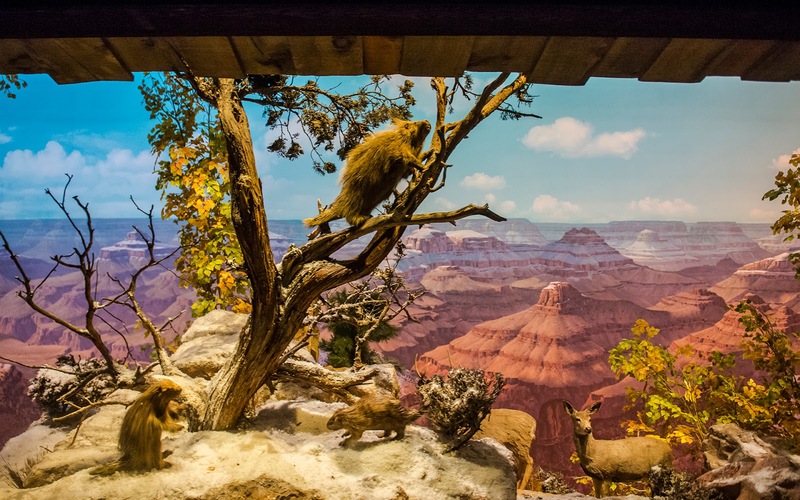 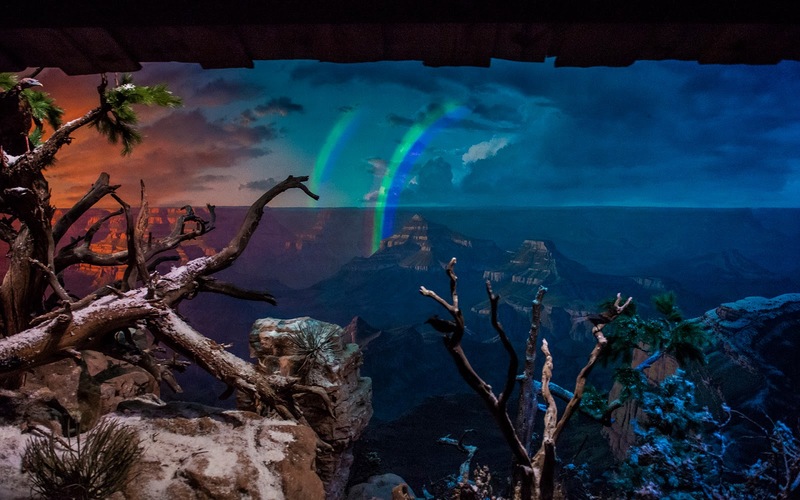 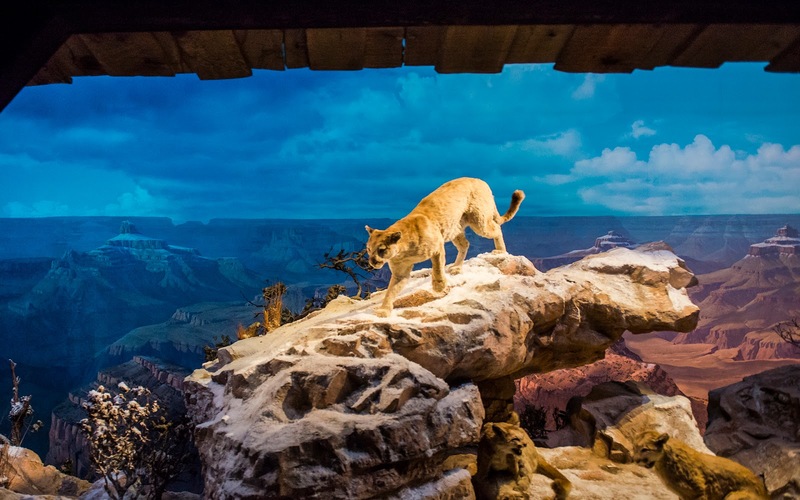 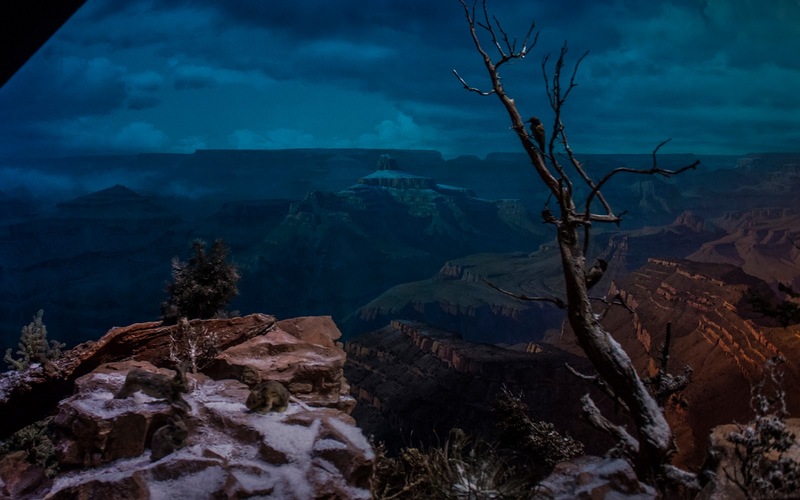 Debuting in 1958, it shows a long, beautifully painted, rolling panorama of the Grand Canyon in the background, while model wildlife, vegetation, and historic structures pass by in the foreground. 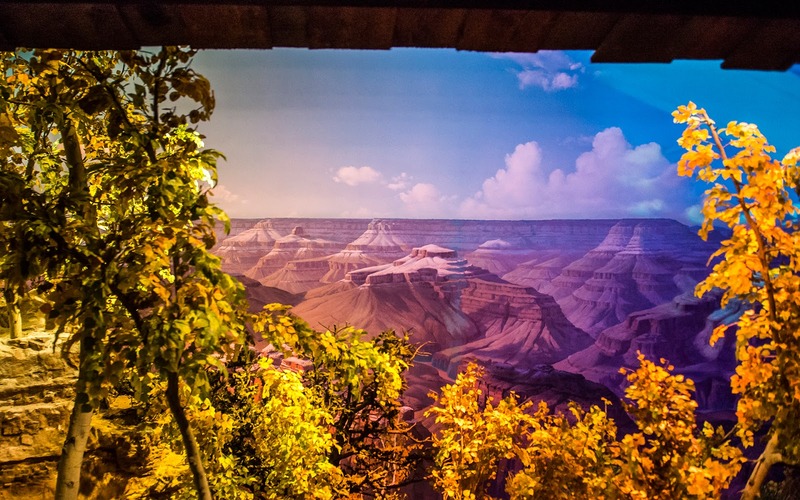 It's a beautiful scene, and this reopening has brought subtle and tasteful enhancements with video projection mapping in the background to bring a bit of life to the scenes. Birds fly through the sky, lightning flashes in the background, and a double rainbow appears as skies clear. The effects are integrated in such a way that most guests probably won't even realize they're new. 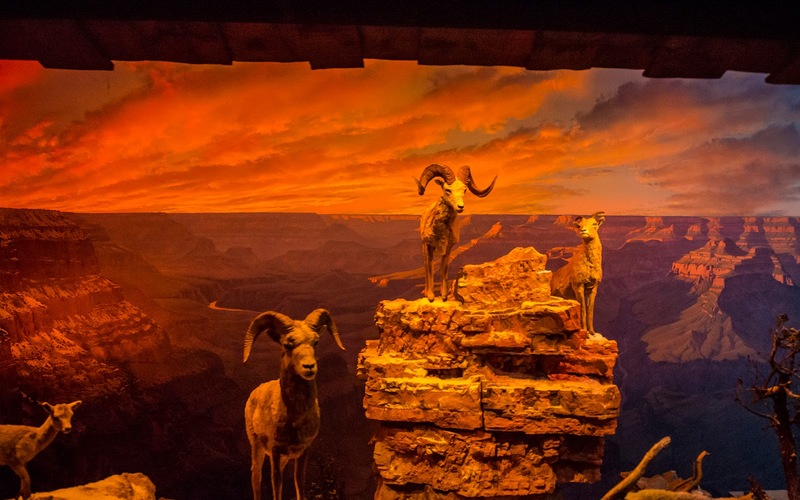 It's a prime example of refreshing the old with technology of the new while respecting the legacy of what has come before.